Dwight and Patti Kuntz, from Union Chapel UB church in Fort Wayne, Ind., have joined the Global Ministries family. In January, Dwight and Patti will relocate to Mandeville, Jamaica. They will serve as liaisons with short term teams that come to Jamaica, making sure everything is in place for the teams when they get there. They will also work with people in Jamaica UB churches to teach volunteerism and challenge them to lend their time and service to Jamaica Conference projects. Dwight and Patti will not live in Jamaica permanently. Rather, they will go there for a couple months at a time, as teams are going. 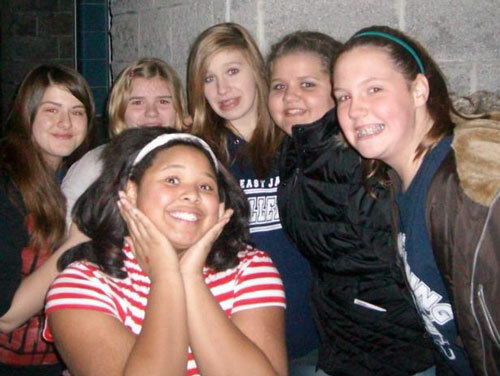 They are part of the JumpStart staff. Write “Kuntz Ministry” on the memo line. S. Douglas Birdsall, a United Brethren preacher’s kid, has been selected as the next president of the American Bible Society. He starts March 1. In 2004, Birdsall became CEO and Executive Chair of the Lausanne Committee for World Evangelization (now called the Lausanne Movement). He anticipates that his replacement as CEO will be chosen in early 2013. He will continue as Executive Chair unti June 2013. Birdsall’s roots go deep in the United Brethren church. 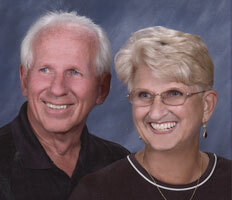 His parents, Roger and Mary Lou Birdsall, served in the United Brethren pastorate for many years. His brother Brent is a former UB pastor and missionary, and his brother Brian is part of the Global Ministries overseas staff (serving with Campus Crusade in Ukraine). Doug will be the second United Brethren to helm the American Bible Society. Dr. Eugene Habecker left his post as President of Huntington University in 1991 to become president of the ABS, serving in that role until 2005. The stated mission of the American Bible Society is to make the Bible available to every person in a language and format each can understand and afford, so all people may experience its life-changing message.The ABS, headquartered in New York City on Manhattan, produces and distributes Scripture around the world, working with numerous national Bible societies. They are involved in Bible translation projects, and are well-known for spearheading two modern English translations, the Good News Bible and the more recent Contemporary English Version. 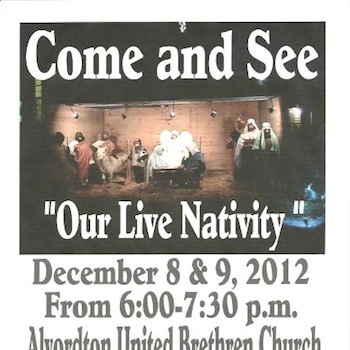 Alvordton UB church (Alvordton, Ohio) will holds its third annual “live nativity” December 8-9, from 6-7:30 pm. This year, the display will add more animals, a larger stable and set, and a 30-foot star above the stable. We have 12 living veterans in our congregation, including one on active duty. A couple of them are having some health challenges. So for Veteran’s Day, we wanted to do a little something extra while we still have all of them with us. At MedalsofAmerica.com, we ordered a 5 x 7 shadow box for each of them. Each shadow box held a brass plate with their name engraved and a medal commemorating their branch of service. We called each of their names and presented them with their medal during the opening of the worship service. We were fortunate to have 11 of the 12 in church that day (the 12th is re-habbing in a nursing home–he did receive his medal). Our veterans greatly appreciated the gesture, and the congregation was delighted as well. Only the board knew ahead of time what we were doing, so it was a nice surprise that everyone very much enjoyed. I have used this company to put together a shadow box to recognize my dad’s military service. For a fee they will mount the medals for you. The quality of the materials and the workmanship in putting everything together, right down to the shipping, is superior. We found this to be a tremendous way to tangibly thank those men and women who sacrificed and served our country with a momento that has an heirloom quality to it. Chris and Brenda Moore have joined the Global Ministries family as endorsed staff. They serve with Here’s Hope Ministries, which operates in Belize. Chris and Brenda have been involved with Here’s Hope Ministries since the late 1990s–leading work teams, organizing collection efforts, maintaining communications, and serving on the board of directors. Beginning in January 2013, Chris will assume the duties of social communication and work team coordination and training. Among other things, Chris will be responsible for planning and leading cross-cultural ministry opportunities with local congregations. 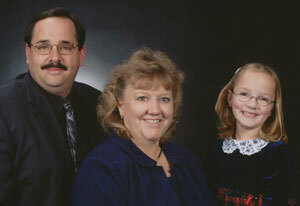 Both Chris and Brenda have a long history with the Church of the United Brethren in Christ. During the early 1980s, Brenda lived in Freetown, Sierra Leone, where her parents, Robert and Darlene Eberly, were United Brethren missionaries. Chris graduated from Huntington University in 1993 with a degree in Educational Ministries, and Brenda graduated from HU in 1987 with a degree in math. They were married in 1990, and have one child. After graduating from college, Chris served in several capacities at Emmanuel Community Church in Fort Wayne, Ind., between 1993 and 2008, with a two-year stint (2000-2002) as senior pastor of Good Shepherd UB church in Huntington, Ind. Back at Emmanuel, he co-led global ministries for ECC from 2003-2008. 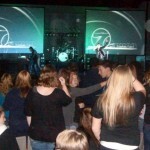 In 2009, Chris became pastor of Mt. Zion UB church outside of Decatur, Ind. He was ordained as a United Brethren elder in 2011. Chris, Brenda, and daughter Rachel have traveled numerous times to Belize, Central America, where they regularly contribute to the ministry of Hosanna House, a home for orphaned, abandoned, and abused children. Though they will travel frequently, the Moores will maintain their residence in Roanoke, Ind., and participate regularly in the fellowship of College Park UB church in Huntington. L-r: Pastor Luis Urkia and Gonzalo Alas visit with Jeff Bleijerveld and Kyle Bushre at a new church plant outside Sonsonate. 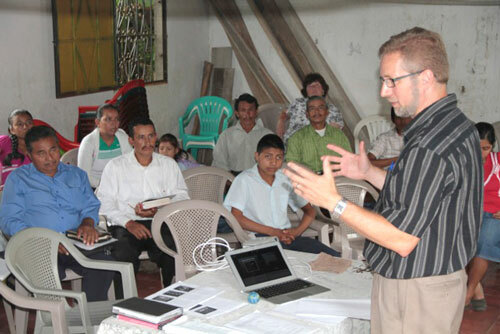 Jeff Bleijerveld conducting a leadership training event with Salvadoran pastors and key lay leaders. On September 2-5, I visited El Salvador with Global Ministries associate director Donna Hollopeter and Kyle Bushre, pastor of Outreach and Missions at King Street UB church in Chambersburg, Pa. We had just concluded several days with the UB ministries in Haiti. Now it was time to move on to Central America, starting with El Salvador. Gonzalo Alas (right), a UB minister from Honduras Conference, has been dedicating all his time to the work in El Salvador for the past year. During the prior four years, he had been splitting his time with responsibilities in El Copan, Honduras. During this past year, he has dedicated his time to searching out and training church planters. His emphasis has been on disciple and leader multiplication, and not necessarily on simply amassing people or churches. During this time he has turned away more pastors and church planters than he has retained. All of the churches in El Salvador are located west of the capital near the city of Sonsonate. Our first visit was Sunsa UB, led by Pastor Saul Natividad. He has been there one year. Although the group is still small, Gonzalo has been investing heavily in training and orienting Pastor Saul. 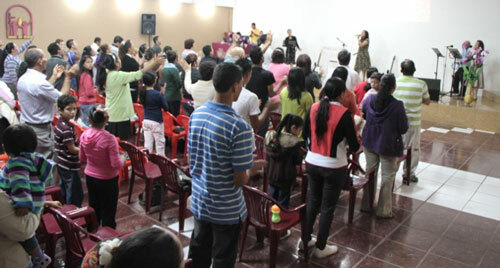 Next we visited Caluco UB, led by Pastor Isaias Reyes. I had visited this church before and been impressed with the pastor and his wife. It is a rural church with a corn mill on the property. The pastor’s wife builds relationships with community women who come to grind their corn. Pastor Isaias commented on Gonzalo’s influence and how he has come to recognize the need to be multiplying disciples who multiply disciples, and not simply building a larger, nicer looking church building. That evening we visited Jardines de la Nueva UB (Acajucla), located in a housing subdivision outside of Sonsonate. Currently, they are constructing a new church building with local resources and from offerings from other Salvadorian UB churches. 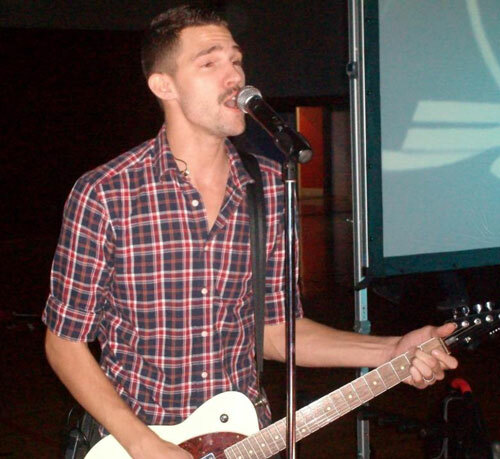 Pastor Luis Urkia, a single man in his early twenties, is leading the church. He grew up in a Christian family and is studying and receiving training from Gonzalo. Having been asked to provide a one-day leadership conference, I prepared to speak on the multiplication of disciples as it relates to the multiplication of churches. I based the training on Mark 4 and the three parables of the sower and the seed. Each of the five pastors brought three or four of their key leaders, so some 30 people attended. Walter Recinos and his congregation did not attend. Gonzalo was thrilled with the fact that the conference reinforced what he has been doing with his leaders and seemed to be well received by the participants. Each church group was provided several opportunities throughout the day to discuss the material and make plans for implementation. 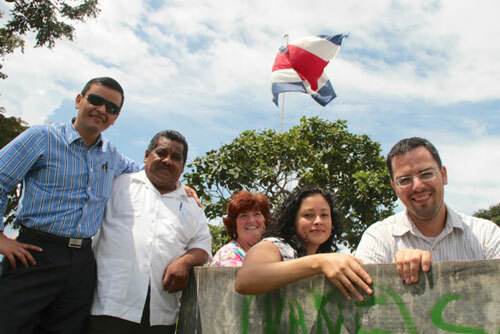 L-r: Erik Rojas, Juan Pavon (Superintendent of Nicaragua Conference) Donna Hollopeter, Iris Rojas, and Kyle Bushre. Worshipping with Casa de la Adorcion in outside San Jose Costa Rica. On September 5-7, I visited Costa Rica with Global Ministries associate director Donna Hollopeter and Kyle Bushre, pastor of Outreach and Missions at King Street UB church in Chambersburg, Pa. Our travels had begun August 26 in Jamaica, then we moved on to Haiti for several days, and then traveled to Central America. After three days in El Salvador, we flew down to Costa Rica, where we have two churches. Juan Pavon, superintendent of Nicaragua Conference, coordinated his schedule to visit Costa Rica at the same time. Costa Rica remains a mission district and is accountable to Nicaragua Conference. During our time in Costa Rica, the Casa de Oracion church was closed after five years of declining attendance and issues related to property, money, and an overall problem of inertia. The day we arrived, Erik Rojas and Juan Pavon laid out the scenario for us and requested our input. It seems it was a difficult yet necessary move. Pastor Juanita was saddened, but seemed to understand. Erik and Iris Rojas are doing well at Casa de Adoracion. The church is growing, and members recently made significant improvements to the property. However, under the supervision of the previous pastor, the property was registered as a children’s feeding program in order to evade some building code requirements. This limits their ability to have parking and signage. United Brethren property in Costa Rica will soon be registered under Nicaragua Conference’s legal charter until such time as Costa Rica becomes its own conference and can have property registered in its own name and not that of an individual pastor. This has been a concern of Erik Rojas for some time, having had some negative experiences with other church planters. We were asked about $16,000 held for church planting in Costa Rica. We agreed that the funds may be spent on improvements to the property at Casa de Adoracion (Guadalupe). Erik’s seminary studies are going well. He will graduate from his part-time undergraduate studies in 2014 and from his graduate program in 2017. He is studying at the Nazarene Seminario de las Americas. He is being sponsored in part by Salem Chapel in Junction City, Ohio, under the leadership of Pastor Joe Leighton. 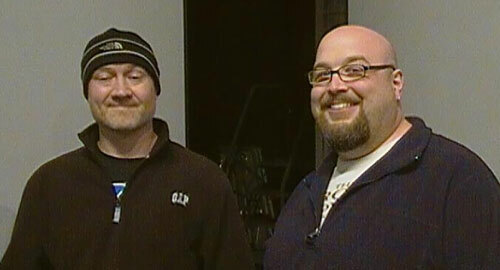 15 Nov Marc Stephenson Appointed in Chambersburg, Pa.
Marc Stephenson (right) has been appointed senior pastor of Mt. Olivet UB church in Chambersburg, Pa. 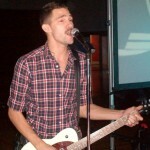 He had previously served as youth pastor at Cochranton Community UB church (Cochranton, Pa.) since 2005. 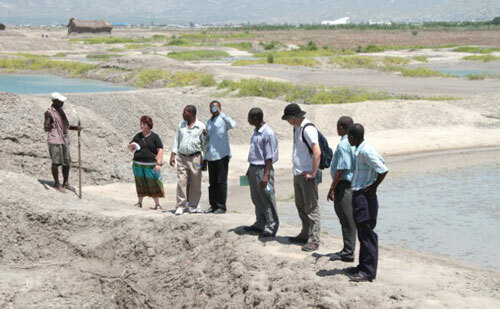 Surveying the Salt Basin Project in Gonvaives, Haiti. 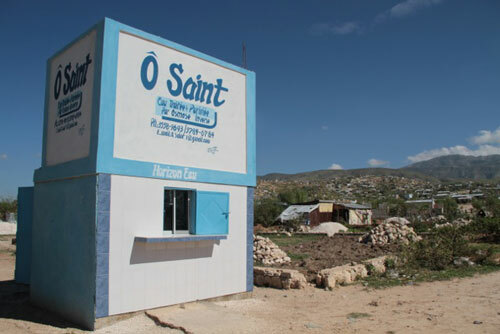 A water purification business that began with funds provided for Haiti small business development. On August 29 – September 2, I visited Haiti with Global Ministries associate director Donna Hollopeter and Kyle Bushre, pastor of Outreach and Missions at King Street UB church in Chambersburg, Pa. I wrote previously about some of the Haitian churches we visited. Here are a few other notes about the visit. community of Jubilee is among the poorest we have encountered in Haiti. The people rummage through garbage that is dumped nearby, and Voodoo is prevalent throughout the community. Medical teams. There is no problem with bringing in medications and supplies. The need for continued sponsorship of school students through CH Global, a Canada-based organization with which we partner in Haiti. The sponsorship of UB pastors who would like to study at approved ministry institutes. Teams to teach English as a Second Language. Loving Shepherd is a ministry in which Haitian orphans are matched with loving, Christian parents who will raise them as their own along with other children, whether biological or adopted. The director of Loving Shepherd (Rick Schwartz) is a member of Emmanuel Community UB church in Fort Wayne, Ind. Kent Kotesky, the executive pastor at Emmanuel, would like to introduce some United Brethren pastors to their ministry in La Cayes. He has asked if I would accompany them and introduce the same group to our United Brethren in Haiti. I discussed this with Pastor Richard, and he was quite interested and willing to have the group come. He suggested that Haitian churches might have orphans who need to be connected with Loving Shepherd, or parents willing to open their homes to children. We met with Pastor Harold of Gamaliel Seminary–a Saturday only training for pastors and lay leaders. He has connections with the UB church in Delmas 33 and was hopeful to secure some funding from Global Ministries. We told him we would fund UB students on a project level if he could provide a doctrinal statement, an outline of the course of study, and an adequate profile of each student. The following day we received the first two items. About an hour beyond Canaan we had lunch at a beach resort. It was a refreshing break and much appreciated, but the purpose was to introduce us to the wonderful facilities Haiti has to offer to tourists. We were encouraged to tell our friends about it. 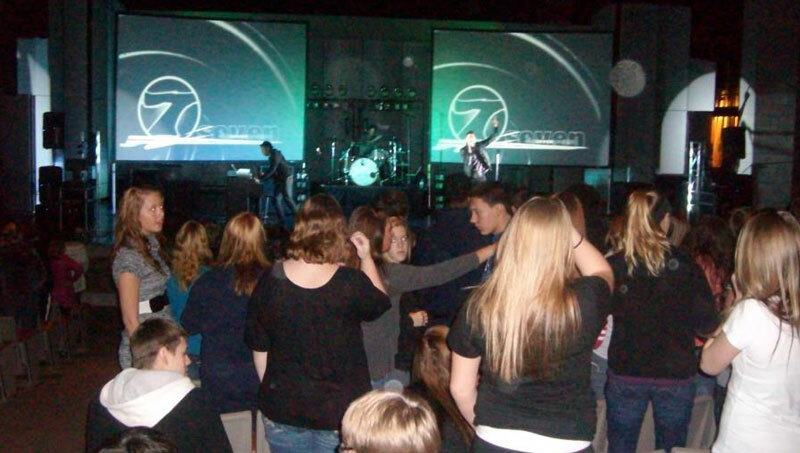 Teens at a 7 Project assembly in Jackson, Mich.
Pathway Community Church (Jackson, Mich.) brought the 7 Project to three local schools on Wednesday, November 7. 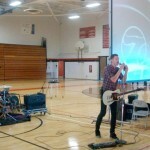 They did assemblies in East Jackson Jr/Sr High School, Kidder Middle School, and Northwest High School. Messages concerning making good choices in life were give concerning violence, bullying, drugs, alcohol, dreams, and scholastic achievement. 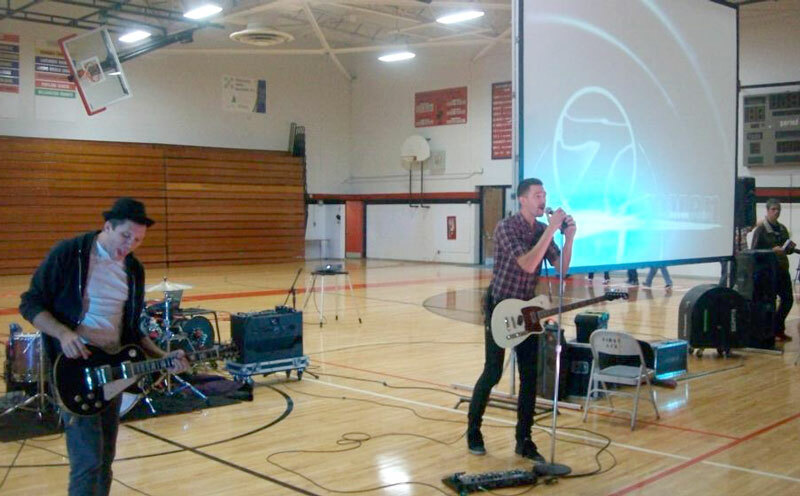 Kurt Cullison, former NFL player Brian Pruitt, and the band Attaboy presented these messages to over 2000 teens in these schools. At the evening event 111 decision cards were returned, with 34 first-time decisions to follow Jesus. Contact information for follow-up was provided to youth ministries, marking a cooperative effort involving four churches in our community. 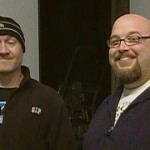 Brent Liechty (right), youth pastor at Pathway, wrote, “Our little church came through with flying colors. Praise God for His faithfulness through difficult times. This has been a huge win involving over 90% of people attending our church.” The “difficult times” refers to the death of Tanya Hardaway, wife of senior pastor Scott Hardaway. 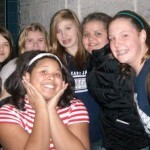 Her funeral was held two days prior to the 7 Project.